Very stylish step bamboo with Pinchbeck mounts. The lower mount engraved with JG. Makers punch JH. 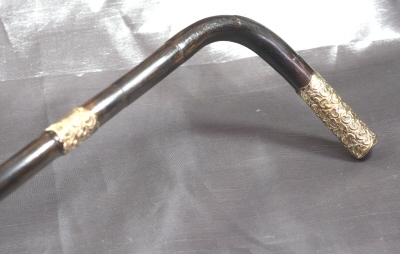 The base of the cane finished with original base metal ferrule. Excellent condition free from breaks or cracks.